by Dave from The Longest Way Home ~ November 5th, 2018. Published in: Travel blog » Nepal. Backpackers are moving out of Thamel and into Paknajol and Kaldera Chowk where there are plenty of new hostels springing up! For decades the area of Thamel in Kathmandu city was “the” place to stay if you were a backpacker. Even today big media still refers to it as a backpacker hub filled with cheap guesthouses and cafes. This has not been the case for about 2 years now. The traditional budget guesthouse in Thamel is now on the endangered list. Today Thamel still has a funky vibe and in the back streets there are many cheap cafes. Budget guesthouses? Not like the old days. Budget accommodation is of course relevant. For some USD $10 is cheap. A few years ago private rooms for $3 were possible. Today private rooms for $11 are difficult to find and $15-30++ is the normal asking price in Thamel. Budget private rooms are being swallowed up by boutique hotels. Others are rapidly closing up, moving out or outside of Thamel transferring to dorm style hostels with bunk beds in the $4-7 category. One new hostel in Thamel, Zoom, opened in 2017 but it’s hard to see how long it will stay open. The good news is that backpacker accommodation and hostels have moved just a few hundred feet to the west of Thamel. And, it’s creating a new thriving area that’s just getting started. Paknajol is the long road running from Sorhakhutte (where tourist buses leave every morning) to Chettrapati (south west Thamel). In the middle is one Chowk (junction) called Kaldera. It’s the narrow streets off Kaldera that now house many newly opened and modern backpacker hostels. There’s also a splattering older style guesthouses for those who want to reminisce. If you are looking for a landmark to find your way then it’s the famous Nepali/Tibetan restaurant Yangling. I was the first to report its move out of Thamel in 2016 and updated my guidebooks to Nepal that very week. Nobody was sure if they’d survive the move from their iconic bustling Thamel location to the remoter Kaldera Chowk. But, they’ve done well. Moreover, the glaring fast food outlet that replaced them in Thamel is now struggling. 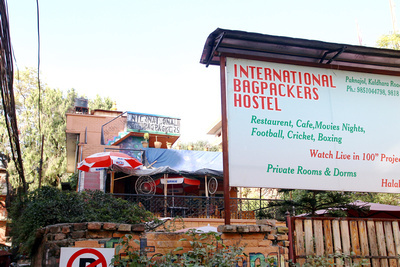 Why is Thamel no longer the best place for backpacker accommodation? Following the 2015 earthquake a huge amount of money was pumped into Nepal from foreign aid and returning overseas workers. Chinese were allowed free visas and their business visas became extremely easy to obtain. The result was that Chinese were offering up to three times the rent as locals to take over their rental agreements. With these large sums landlords simply sold out to the higher bidding Chinese. At the same time returning Nepali from overseas had ample money to invest in a “great new business” in Thamel. It was after all “the” place to make money. Boutique shops opened alongside new restaurants aimed not at backpackers but affluent Nepali youth, Chinese tour groups and anyone willing to pay the high prices. An insider look will also reveal that hotel booking sites also pressurized guesthouses to increase their margins by raising prices from $10 – $20+ overnight. In the span of 2 years the old backpacker joints and budget guesthouses had either out priced themselves for their clientèle or shut up shop. Even today many old guesthouses are upgrading to air-conditioned rooms with easy fix press-on wood facade decoration. All giving the appearance of high-end rooms but still lacking the service standard that $20 will get you in the rest of South Asia. The result? Backpackers moved out of Thamel to sleep and over to Paknajol and Kaldera. Returning only to seek out the cheap restaurants that still hold on to their smaller businesses. 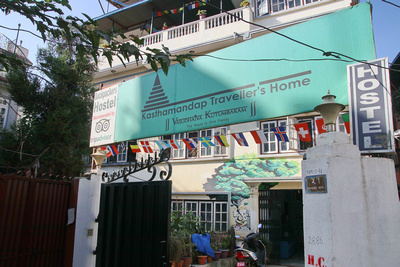 If you are just arriving into Kathmandu and need a hostel head straight to Kaldera Chowk. Use Yangling as your landmark. Just before Yangling is the new International Backpackers Hostel. From Yangling take a left and another left around the corner up the road is Nepali Hive which is more a guesthouse with basic rooms than a hostel. Up a little further is the very laid back Secret Garden Backpackers Hostel. Back at Kaldera the main stretch of hostels can be found in the descending road opposite Yangling to the left. A few feet down to the right and you’ll find the first and one of the better backpacker places known as The Wanderthirst. From there keep walking along this narrow lane until you get to the more old school Kasthamandap Travellers Home. A little further to the right is another older place with private and shared rooms known as Shantipur Hotel. 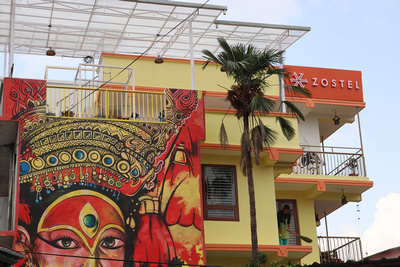 Up a little further is the new and modern Indian hostel chain known as Zostel which also have another building in Pokhara. Right next door is the Nepali owned and well liked Firefly. Finally down the back alleys from here is the new (but old looking) and again very local Yog Hostel which may last as long as the spray paint name on the wall outside. Go to Thamel! Yes, Thamel is literally just a 5 minute walk from Kaldera and Paknajol. So do read my guide to Thamel and find things to do in Kathmandu. Meanwhile in Paknjol and Kaldera these new hostels have eliminated the old problem of private rooms in guesthouses by having large communal open areas. It means that many of these backpacker places are “self-entertaining”. The best of these are Wanderthirst, Zostel and Firefly who have regular entertainment every night. Wanderthirst even has its own DJ station upstairs along with a large games room while downstairs is a large courtyard hang out zone, bar and cafe. Zostel is more into cheap day tours and day outs. Firefly mixes things up for the best of everything. While Secret Garden and the others offer cheap group tours or simply let you do it all yourself. Yangling is the king of places to eat in terms of clean and safe budget restaurants in Kathmandu. However it may still be too expensive for some backpackers. In which case the hostels own cafe is usually a good bet. Alternatively there are plenty of hole in the wall style local places catering to budget eating. At night hostels again provide their own entertainment or just down from Kaldera is Artmandu which has cheap food, drinks and nightly music. Across from Artmandu is the new indoor wall climbing company Kathmandu Sport Climbing Center. For everything else including night life, head to Thamel. If hostels aren’t your thing, then there’s still hope for those looking for budget private rooms in Kathmandu. Freak street or Jhochhen is by no means a new place for budget accommodation in Kathmandu. In fact, it is the first place budget travelers stayed in the 1960s and 1970s long before Thamel took over. The area had little development in the 1980s, 1990s and early 2000s. But in the past few years new restaurants have opened up and traditional guesthouses are seeing a revival of sorts. Do read more about Jhochhen / Freak Street. What’s the difference between Freak Street and Paknakol / Kaldera? The guesthouses along Freak Street are similar to Thamels old traditional private budget rooms. Dank, poor wifi and a little grubby. You might get lucky though. Some are certainly better than others. There’s definitely an old school vibe here for those that like to chill out in peace a little more as there are no hostels. Are there backpacker areas outside of Kathmandu city? Pokhara and Chitwan still have an ample supply of backpacker areas to stay and chill out in. However, Chitwan is geared more to jungle activities and nature than parties. In Pokhara things are a little more expensive in terms of food and the nightlife ends earlier. Nepal continues to be a little out of touch when catering to backpackers. Some within the tourism sector have little interest in backpackers and their “low spending” preferring more wealthy short stay tourists. Some suggest backpackers should go to cheap places in the far west of Nepal and stay in an eco-village where there are basically zero facilities. This is all good and great for those wanting an eco-lifestyle but not for those who want to meet other backpackers or to party the night away. 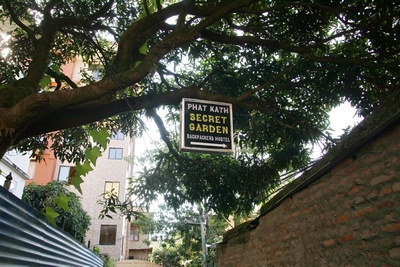 In this regard, Kathmandu remains the premier location for backpackers. 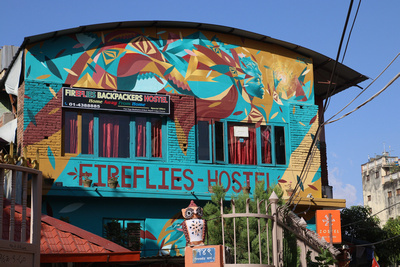 Has backpacker and budget accommodation in Kathmandu changed forever? Prior to 2015 hostels were not the norm in Kathmandu. Cheap private budget rooms were normal. Now, hostels have arrived with bunk beds, group activities and plenty of late nights. Thamel most certainly has changed. Do read about how Thamel has changed over the past ten years. It will likely remain the tourist hub and hotspot of Kathmandu it nearly always has been. Bars, restaurants and souvenir shopping still reign supreme here. All these places will probably become more affluent until such time as a market crash. Or, quite frankly if the pollution and traffic of Kathmandu continues. Meanwhile outside of Thamel backpackers and local entrepreneurs have simply decided to move on and set up shop in places like Paknajol, Kaldera and Jhochhen. If it’s hostel life you like, then Paknajol / Kaldera is where you should head. If it’s old style guesthouses then Jhochhen is the place. For those who think USD $11-30 is still budget then there are still great deals to be had in Thamel. You can directly book backpacker and budget hostels here. Or better yet get my guidebook below which has budget and backpacker accommodation listed along with mid-range and high-end in case you also want to upgrade for a night or two! Nice information, was wondering about hostels in Nepal. Thanks, there’s plenty these days. We’re a bit old for backpacker travel these days but nice update to have about budget guesthouses. Agreed. There are still budget guesthouses, there are just less than before. The rest of Nepal still have plenty. Wow, so much has changed. Thanks for the updates. I’d never have figured it out even in Thamel! It’s a confusing place!!! Ha, yes Thamel can be confusing when you arrive due to the small streets. A good guidebook to Nepal helps! 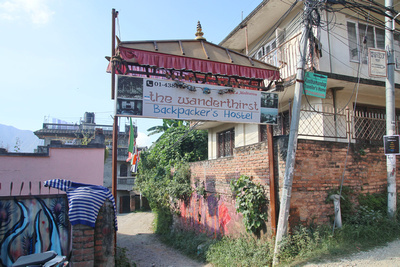 I never realized the backpacker scene was pushed out of Thamel like this. I wonder if Nepal is making a huge mistake forgetting it’s roots like this. I definitely think it is making a mistake. Other countries like Thailand cater to backpackers, budget, mid-range and high-end. Nepal seems intent that a few companies capture the high-end market and forget the rest. 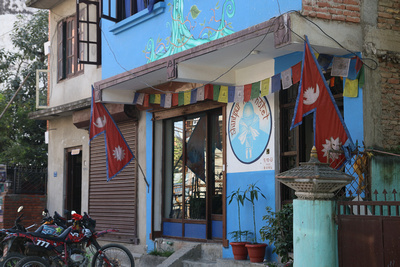 When I went to Nepal there were so many great little guesthouses in Kathmandu. Never saw a hostel. How quickly things change! Yes, the hostels started to appear in 2016 as rents went up by a third and small guesthouses had to close up. Guesthouse with private room $8, hostel with 10 people $5. I’ll pay the extra few bucks thank you very much! Yes, it’s very true that for a few extra $$ you can get a private. However, many people also want to meet up with others to travel together. Hostels do allow that as the “old guesthouse notice boards” vanish. Great info! Nice to have all the hostels in one place too. Yes, they are all basically within easy walking distance of each other. Looks like Thamel had a huge shift after the earthquake, Dave. Good to know buddy. It certainly did after the earthquake. Everything changed.